Each member of the BUILA executive committee has a key liaison roles and or area of responsibility. The committee meets bi-monthly. Charlene has worked in International Offices for 17 years and has been involved in various projects throughout that time including working with and in a Regional Office in Kuala Lumpur; supporting the setting up of an office in China; and the expansion and development of international offices to increase international student recruitment and partnerships globally. She has presented at several international working groups, conferences and coordinated and supported research symposiums in South East Asia focusing on climate change. She works with and supports the Vice President International and the Vice President Education in leading and implementing the university’s internationalisation strategy and education strategy. She represents the University nationally and internationally at the highest levels, raising profile, identifying and delivering partnership/business opportunities and advising senior management accordingly. Charlene was co-opted onto the committee in November 2008 and then fully elected in 2011. Since joining, she has worked with the British Council on their marketing projects, and led on BUILA marketing, including the redesigning and restructuring of the BUILA website. In addition to her role as Chair she leads on building and developing the strategic link between BUILA and Universities UK. Andrew has been involved in international recruitment since 2003, working at Edge Hill University following graduation. Since 2005 he has worked at the University of Huddersfield in a variety of roles in the International Office covering recruitment, agent management and looking after several recruitment markets. In 2013 he became Director of International Development at Huddersfield and leads all aspects of marketing, recruitment and support for international students within the institution. Andrew joined the executive in September 2014 and works on developing the lobbying profile of the executive on behalf of the sector. Bobby has worked in higher education since August 1999 when he began working in the Access and Admission Department at the University of Luton (now University of Bedfordshire). He moved to the International Office at Luton in December 2000 and remained there until August 2002 when he moved to Wales as an International Recruitment Officer at the University of Glamorgan, now the University of South Wales. In his time at the University he has held a number of positions including: Deputy Head of International Recruitment, Head of International & Business Development in the Faculty of Business and Society, Acting Director of the International Office, Head of Student Recruitment and Head of Enquiries & Admissions and International & EU Recruitment. In April 2017 Bobby was appointed to the post of International Director at the University of Portsmouth where he is now responsible for: •	Strategic Lead and Management of the International Office •	International Marketing and Recruitment •	International Student Support •	Student Mobility •	International Business Development and Partnerships Bobby was originally elected to represent Wales on the BUILA Executive Committee in December 2009 and is currently serving as Vice Chair. Rob Carthy is the Director of the International Development Service at Northumbria University. He leads a team of over 80 staff based in six locations across the globe, working on the recruitment and admissions of International Students, development of International Partnerships, and student mobility. In addition he has oversight of the University’s Language Centre, delivering in-session and pre-sessional English, as well as credit-bearing modern Foreign languages. Rob joined Northumbria University in 2003 and moved to the International Office in 2005. He has held various roles in the team since then, including Partnerships Manager and Deputy Director, and took over as the Director of International Development in November 2013. He has held executive roles on BUTEX, the UK-Saudi Interest Group, and has worked closely with the BUILA senior team. He was elected onto the BUILA executive in 2016. Nancy has over 15 years’ experience in international education, spanning teaching, recruitment and marketing, partnerships and mobility, as well as student support. Her international work has included setting up and supporting regional hubs in India, China and UAE, and previously in Nepal, Colombia and Kenya. Nancy is an advocate for supporting students throughout their student journey and her MBA thesis researched the international student decision making within liberal arts education. Jenny has been working in international education for over 18 years, working at a number of institutions across Scotland before moving to the University of Aberdeen. Having studied and worked in the USA and worked in Japan, Jenny is a passionate advocate for the benefits of international education. At the University of Aberdeen she is responsible for international recruitment, student mobility, partnerships and enquiry management. 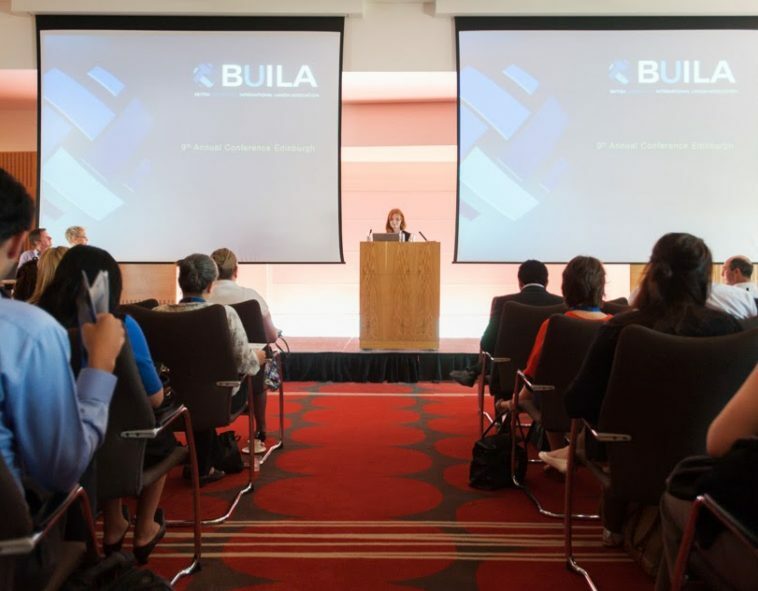 Jenny joined the BUILA Executive in 2018, having previously Chaired SUIG (Scottish Universities International Group) and leads on liaison with the wider Scottish sector for BUILA. Martin has been working in international education for over twenty years, having started in the private sector at EF International Language Schools in Cambridge, before moving to higher education with the University of Roehampton and currently leading the International Office at the University of Sussex. He has led three offices covering responsibilities which have included international student support, admissions, recruitment, marketing, student mobility and overseas academic partnerships. Martin joined the BUILA executive in 2017 and leads on the co-ordination of the sector’s approach to the GREAT: Study UK campaign. Martin has been involved in international recruitment for over 17 years, working at a variety institutions in both central service and faculty based roles. After starting out at the University of Leeds in marketing and admissions, he moved to City University London in 2006. He spent nearly 10 years at City working in international recruitment and marketing positions in both the International Office and Business school. From City he moved to the University of Huddersfield where he became Deputy Head of International Recruitment. In 2018 he returned to the University of Leeds and works in the International office as a Senior International Marketing Manager. This is Martin's second stint on the executive after originally joining in September 2014. After being part of the conference team he now leads on marketing and the relationship with UKCISA . Catriona is Director of Internationalisation at Ulster University, where she has responsibility for providing professional leadership of the University’s internationalisation strategy, managing its delivery and related stakeholder engagement. This is a founding Director role and her newly created team has a varied remit that includes recruitment, partnerships, mobility and international student support. Catriona has extensive international experience and has worked in the sector since 2002. Having started her career at Heriot-Watt University, Catriona has also spent time at Aberdeen University as well as serving as Deputy Director, International at the University of Edinburgh where she was involved in the design and delivery of various strategic initiatives, including the establishment of overseas operations. Catriona has a detailed understanding of global education policy, trends and funding mechanisms. She also holds an MA Hons in History and Literature, as well as a professional qualifications in marketing and project management. Ruth has worked in the Higher Education sector since 2001, moving to International in 2008. She has had several roles relating to International including International Officer, Partnerships Manager, Deputy and Acting Director and has experience in many regions from South Asia to Africa, the Americas to S/E Asia. She was appointed as the Director of the International Office in Aberystwyth University in 2014. Her current remit includes international recruitment and marketing; partnerships; visas and immigration; international student experience and study abroad. Ruth has developed the team significantly to include regional offices in China and Malaysia, and Aberystwyth University was recently awarded Silver in the WhatUni Student Choice Awards for International, demonstrating her commitment to the International Student Experience. After working in advertising and recruitment roles in the private sector, Andrew joined Aston University’s international office in 2006, managing recruitment for Africa and East Asia. He moved to the University of Warwick in 2009 to take on responsibility for South Asia and Latin America before moving to NTU in 2011 as Head of International Development for the College of Art & Design, Architecture and Built Environment. As of January 2016 he works as College International Manager in NTU Global, the University’s global engagement office, with a wide remit of development, mobility, partnerships, experience and recruitment. He was co-opted onto the executive in early 2016 before being elected as a full member later that year and will be leading on Marketing & Communications. Mohsin has been involved in Higher Education for over ten years, predominantly in the area of student recruitment and marketing (home and international). Mohsin started his career in 2004 on a graduate scheme at the Home Office Immigration & Nationality Directorate (now the UKVI), and by 2005 Mohsin was a fully qualified immigration caseworker based out of Lunar House in Croydon. Mohsin left the civil service in 2006 and joined the Chartered Institute of Management Accountants (CIMA) before embarking on the higher education path with Imperial College Business School. Mohsin was appointed as Head of UEL’s International Recruitment team in 2014 and helped to rebuild UEL’s international profile through an innovative strategy that helped establish the university as a leading recruiter in London for graduate students from the United States. Mohsin was recently appointed as Head of International (London Campus) at York St John university, a new venture based in Barbican London. As well as being a member of the BUILA executive committee, Mohsin is also an active member of London Higher International and has regularly represented the group in high profile lobbying events including last year’s successful House of Commons MP’s event. Mohsin has also made various media appearances over the years including a recent BBC London piece highlighting the significant benefits international students bring to the UK. Charley started working in international higher education in 2007, working for the University of Essex managing regional markets including China recruitment and partnerships, and developing outward study opportunities in China. Since 2015 she has worked at Goldsmiths University of London, first as Deputy Head of International Recruitment and then Head of International Recruitment and Mobility covering international student recruitment and marketing, recruitment partnerships, agent management and the global mobility of staff and students. In 2017 she joined the executive as Chair of the China Regional Interest Group and undertaking liaison work with UCAS on international matters. Philippa started off her career treading the boards as a dancer but after a period of ‘resting’, a quick brush with wildlife at the Nature Conservancy Council, and a brief spell making classic public information films at the Central Office of Information, she switched one type of performance for another; promoting education and training as Director of Marketing and Strategic Planning for the Central London Training and Enterprise Council. As a freelance consultant she has carried on working with the key international promotion organisations in London on a number of projects promoting key sectors and bringing stakeholders together. Philippa is currently the Project Manager for the London Universities International Partnership which compliments her role as BUILA Project Manager. Nanna is responsible for BUILA's annual programme of training workshops, the website, managing the membership base and assisting with the annual Conference. She has worked part-time for BUILA since January 2016. During the rest of her time she works as a Higher Education Marketing & Communications Consultant, working on projects for UK higher education institutions as well as EU-funded projects focusing on HE and VET in Central Asia and Asia. Previously she worked for over 10 years at Royal Holloway, University of London in a variety of roles including Senior International Officer and Student Recruitment Digital Engagement Manager.